Ffynnon Cilhaul lies in woodland by the side of a lane a couple of hundred yards to the south of Cwm village. 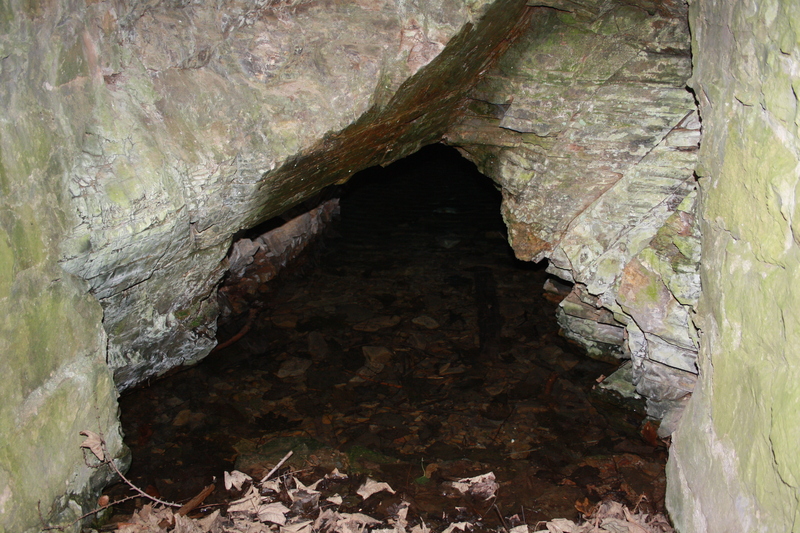 The spring is at the end of a fissure in the rock. Although Ffynnon Cilhaul is now the most common name for the well, and it is as such that it appears on maps; it is also widely known as Ffynnon Leucu or Leiki. Lhuyd (1698) gives both names and Jones(1954) repeats these, using the name Leucu as the basis to categorise the well as one attributed to a saint. Leucu is usually taken to be a reference to St Lucy or Lucia, dedications to whom are more common in South Wales than North Wales, there being a Betws Leiki in Cardiganshire where a Capel Leiki, dedicated to St Lucia, used to stand. Baring Gould and Fisher (1908) considerd St Lucia to represent one of the 11000 virgins murdered alongside the legendary fourth century Romano-British Princess St Ursula when they were besieged by Huns in Germany during a pilgrimage to Rome. The epithet Cil-haul given to the well may be translated as “in the shade”, or “where the sun never reaches”, the well is shaded by both cliffs and woodland and the water, flowing out from within the hillside, was noted for being particularly cold. 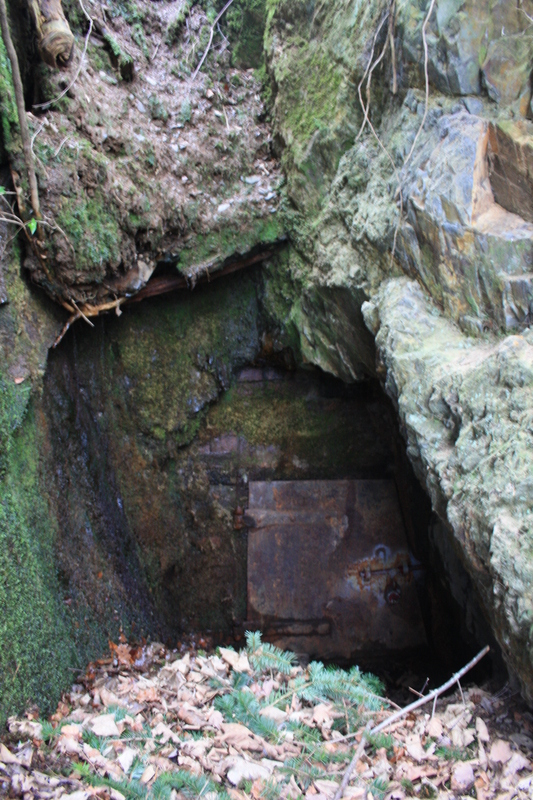 By the time of the Royal Commission visit it was recorded that the water had been diverted for use on the Bodryddan Hall estate, and today the well is dry with the fissure in the rock brick lined and with an iron door sealing off access to the well. The basin area outside the door is dry. Cymdeithas Ffynhonnau Cymreig does, however, reproduce a record describing times in living memory when the well was fronted by wooden doors and neighbours, in hot weather, would draw very cold water from the well for churning butter. On the cliff face above the well there are clear tracks showing that in very wet weather a stream, or waterfall runs down and falls into the well. There is a very similar, unnamed, well in the Church Wood on the opposite side of the valley. This too, from the presence of manhole covers and pipework, appears to be used as a water supply. 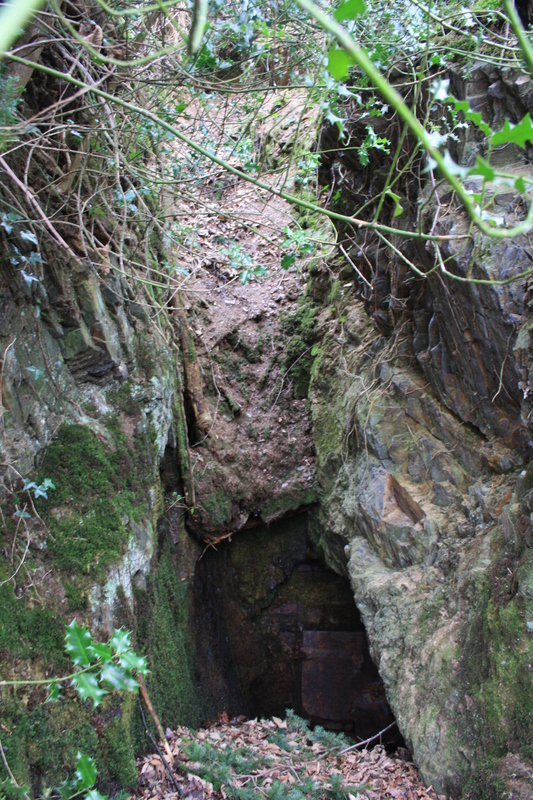 In the same way as Ffynnon Cilhaul the opening into the rock is also bricked lined, but without a door on the front so that it is possible to see inside to where a subterannean stream flows out with cold water to a depth of several inches. Shown below, this gives some idea of what Ffynnon Cilhaul may have looked like in the past. It’s good to see this little-known yet easily accessible well included. One tiny point: I think you should call the ‘Welsh Wells Society’ by their correct name, which is Cymdeithas Ffynhonnau Cymreig. They are a strictly Welsh-language organisation, as can be seen from their website.